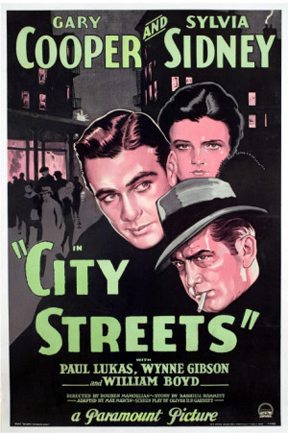 Directed by Rouben Mamoulian, “City Streets” was released during the first wave of classic gangster films in the early 1930’s. Along with “The Public Enemy,” “Scarface” and “Little Caesar,” this Paramount release helped fuel the depression era audience need for celluloid bootleggers, machine guns and dames. Paramount Pictures was not known for its gangster films at this time though Josef Von Sternberg did make the silent classic, “The Docks of New York” (1929), and “City Streets” started out as a loose remake of the 1928 William Wellman silent, “Ladies of the Mob,” a film believed to no longer have any copies in existence. Later on Paramount did make a few underworld films like “Dark City” (1950), “The Brotherhood” (1968) and most prominently, “The Godfather” trilogy. 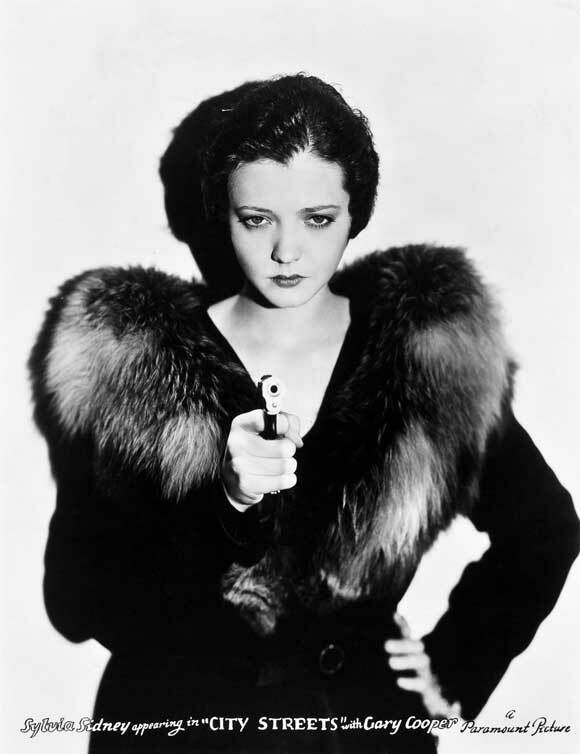 Along with Gary Cooper, the film stars the lovely Sylvia Sidney as Nan Cooley, a gangster’s daughter who falls in love with The Kid. When they first meet The Kid is a gentle naïve, though impish, young man working at a local carnival’s shooting gallery. He also happens to be pretty damn accurate at shooting guns. 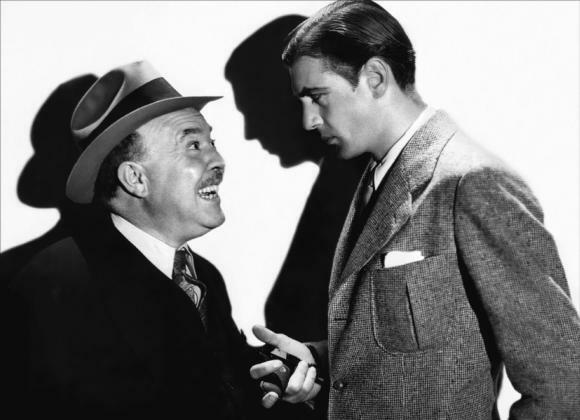 Their love affair gets off to a shaky start since Nan is ambivalent about her father’s (Guy Kibbee) dubious career working for The Big Guy (Paul Lukas), the biggest bootlegger in town. The Kid wants no part of this life of crime. Pop soon get his daughter caught up in a gangland slaying, the murder of a fellow hood named Blackie (Stanley Fields). Nan takes the rap, refusing to implicate her father in the crime, and is sent away to prison for two years. Not in line win any father of the year awards, sleazy Pop uses the opportunity to convince The Kid the cops framed Nan and get him to join the mob thinking he could help get Nan released. Nan’s ambivalence on her father’s occupation changes while in prison and she’s horrified The Kid has now joined the underworld ranks. She tries to persuade him to quit but he refuses. The Big Guy meanwhile has taken a keen liking to Nan and while Pop is willing to pimp his daughter out to the boss man, The Kid is not willing to share his girl. At a party, the Big Guy forces Nan to dance with him all night long, promising her she can have everything she wants; clothes, cars, jewelry and more if she stays with him. Visually upset, The Kid declares his claim to The Big Guy that Nan is his girl and he isn’t giving her up. This does not bode well with the boss man which could determine The Kid’s career in the mob may be short lived…or not. So how does this film compare to what are generally considered the top three gangster films of the early sound film era? Well, I won’t declare any great revelations, but it’s pretty damn good, certainly better than “The Secret Six,” MGM’s contribution to the period’s underworld crime scene. It’s certainly the most artistic and elegantly photographed film thanks to the talents of cinematographer Lee Garmes. Director Rouben Mamoulian shoots the film at times like he was part of the French New Wave. One wonders if Godard, Truffaut and company had seen this film in their early days. While some of Mamoulian’s shots may seem a little pretentious the film has a poetic touch missing in most works from this period. After the publication and success of his novel, “The Maltese Falcon,” in 1930 (2) Hollywood beckoned Dashiell Hammett to write something original for the movies. He came up with a short story that he turned into a film treatment called “The Kiss-off” (3) which was then adapted into a screenplay by Max Marcin and Oliver Garrett and retitled “City Streets.” As mentioned Lee Garmes atmospheric camera work adds a nice sophisticated stylish, moody feel to it all. Director Rouben Mamoulian adds first rate visual touches though he gets a bit heavy on symbolism. While most of the murders occur off-screen., for example, all we see of one victim is his hat floating in a river there is some strong violence. At one point toward the end, in a nightclub scene, one of the Big Guy’s stooges shoves a fork into one unexpected victim’s hand. This was only Mamoulian’s second film (his first was “Applause”) and his creative juices were flowing. 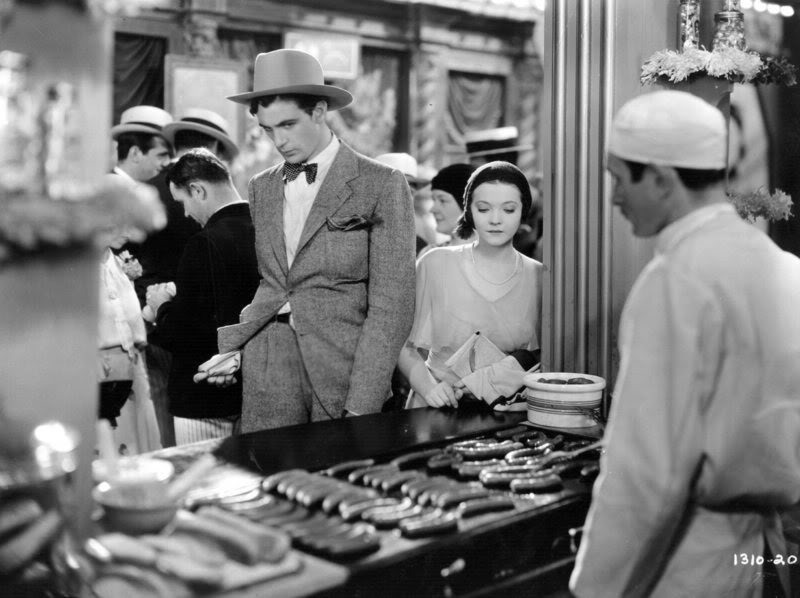 His use of a voice over in one scene with Sylvia Sidney was the first time this technique had ever been done. It’s also been said Al Capone liked this film very much considering it an accurate portrayal of the gangster life. (1) Clara Bow was well known for her wild love life and previously had an affair with Gary Cooper who was now involved in a love affair with Lupe Velez. Bow’s problem’s at this time involved a lawsuit she initiated against a former secretary named Daisy DeVoe who had stolen thousands of dollars worth of clothing and other items from Clara. While Bow won the lawsuit, she lost more than she gained. While on the stand DeVoe revealed much of Bow’s private life including affairs with Richard Arlen, Fredric March, Gilbert Roland, director Victor Fleming, Bela Lugosi and Cooper. 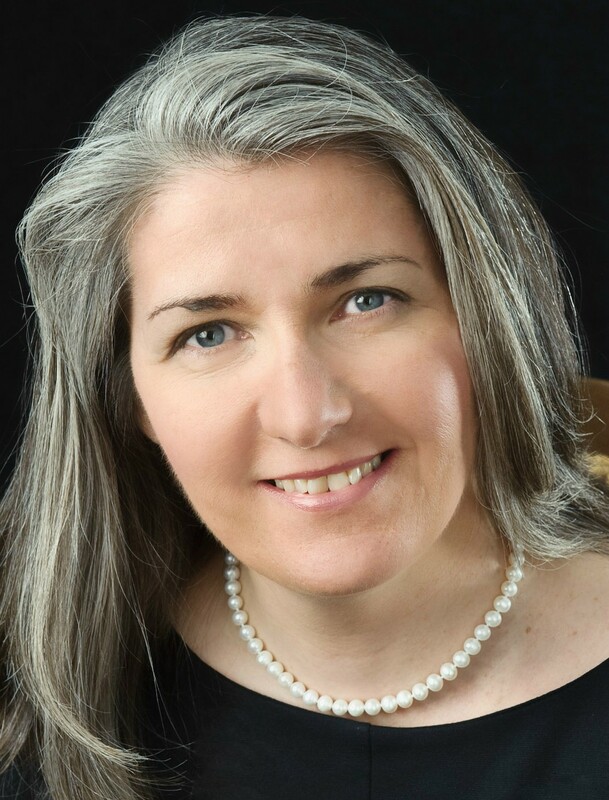 She also repeated the previously disclosed sordid tales of Bow’s supposed drug use and her “entertaining” the USC football team, a story which seems to be more rooted in fiction than fact. Cooper was fearful at the time the court case and his name being prominently mentioned would overflow and be detrimental to his own career, but needless to say, it did not. Bow’s career however went into a tailspin from which it never recovered. (2) Originally serialized in BLACK MASK in 1929. This entry was posted in 1930's, Film Reviews, Gary Cooper, Rouben Mamoulian, Sylvia Sidney and tagged Gary Cooper, Guy Kibbee, Lee Garmes, Paul Lukas, Rouben Mamoulian, Sylvia Sidney. I really enjoy the energy of this movie, with the performances and visual treatment, and I’m glad to see a good post about it! Thanks Diandra!!! The visual are definitely a highlight! 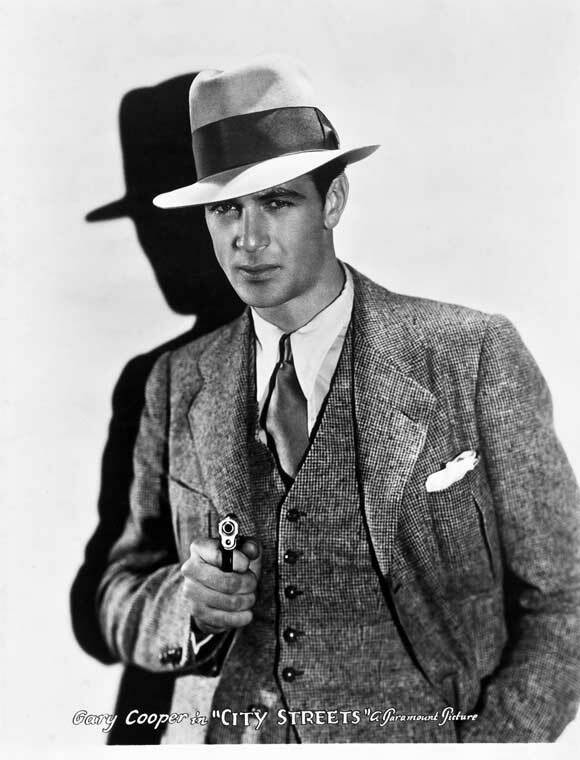 While I love Gary Cooper’s “A Farewell to Arms,” a couple other of his early 30’s films (“Fighting Caravans” and “One Sunday Afternoon”) just don’t do it for me at all. For that reason, I’ve never been willing to give this one a minute of my time. However, your terrific review has convinced me that a viewing may well be worth my time after all. Besides Coop, whom I adore, I love Guy Kibbee. He’s wonderful in everything. Oh, and isn’t it funny how often the name Blackie turns up for one of the hoods. I can think of 2 films where Clark Gable’s sleazy character was named Blackie. Yeah, if we had a dollar for every hood named BLACKIE we would both be rich!!! Have you seen DESIGN FOR LIVING, another early sound pre-code Cooper fim? If not, you should, really good. These are different types of roles for both Cooper and Guy Kibbee. No, I’ve not yet seen “Design for Living,” but since it also has the great Fredric March, I know it is a must-see. DFL is a terrific sophisticated comedy. A must! I’ve never seen this one, and I see that I’ve really missed something. Thanks for reviewing this. I will definitely watch for it. SS – Hope you get to see it. Let me know what you think when you do! John, you’ve included some fascinating background information here. I hadn’t realised this one started out as a remake of Wellman’s lost film ‘Ladies of the Mob’, or that it was suppressed under the Code because of the Kid getting away with his crimes. Definitely agree that it deserves to be much better known and get a wider DVD release – I think it has only been officially released in Spain. Lee Garmes’ camerawork is absolutely breathtaking in this – I remember the stunning opening scene of the bootleg liquor being brewed – and Cooper, Sidney and Guy Kibbee are all excellent. I do like Kibbee in this kind of sleazy role, showing his versatility as a character actor. You make me want to see this film again! Judy, – Yeah, Kibbee is very good. You really dislike him for his sleaziness. 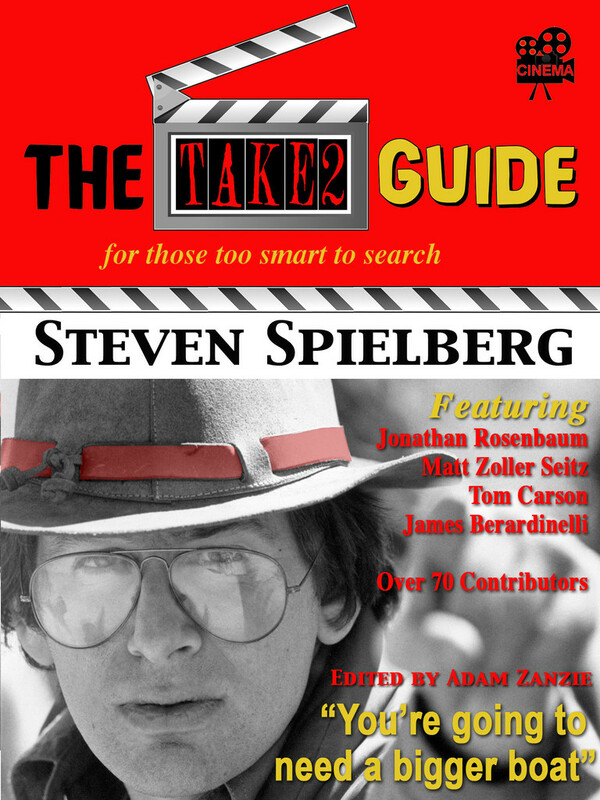 Hopefully, it gets a DVD here and everywhere. Thanks! A little late to this great post John, but hung on for every word. Yes this was a time the screens were afire with gangster pre-coders, but this particular film as you note in your terrific historical framing was overshadowed by the heavyweights. Love all the footnotes including the Bow-Cooper romance, which has always fascinated me. I know it was all downhill from this point on. The Mamoulian poetry you speak of was also seen in his excellent LOVE ME TONIGHT and the best DR. JEKYLL & MR. HYDE on record.